When designers make choices about color, their decisions are informed by science. And where hard data is not available, consensus becomes the foremost guide. Collective wisdom also dictates which color combinations seem to harmonize or clash unpleasantly. Together, this creative toolbox is known as color theory. By referring to color theory, designers and artists can shape perceptions and elicit emotions. Furthermore, color theory has a proven track record in the marketing world, helping to guide customer opinions, influence their purchasing decisions, and ultimately drive sales. Such powerful results are too important to ignore. If you have yet to discover color theory, this comprehensive guide should help get you started. Before diving into the theory, you must first understand how color works. Contrary to popular belief, grass isn’t green and roses are not red. These organic surfaces merely reflect light at specific wavelengths. Inside your eye, cone-shaped cells detect these wavelengths. Finally, your brain interprets the incoming information as color. The caveat is that our modern world is filled with artificial illumination. These light sources can appear colorful, while also altering our perception of reflective objects. The work of artists and designers is to bring some order to this chaos. There are two ways to control color. First: The subtractive color model, used for physical media, assumes you are starting with ambient white light. From this light, you “subtract” specific colors to reach your desired hue. Second, when color comes straight from a light source, the additive model is used. For instance, the screen on which you are currently reading this article is producing its own light. Even if you were sitting in total darkness, the words would still be visible and the images would still appear vibrant. Because the additive model is a relatively recent development, the principles of color theory are largely based on the subtractive model. In particular, they rely on the color wheel. Color can be defined very precisely in scientific terms. Each hue represents a specific wavelength on the electromagnetic spectrum, somewhere above ultraviolet and below infrared. This system allows scientists to order every color into one continuous scale. It was back in 1665 that Sir Isaac Newton, the English scientist of apple-falling fame, first tried to tame the rainbow. His conceptual wheel was the Periodic Table of color, encompassing every hue he had produced using a prism. His efforts remain the basis of our current system. The basic color wheel is divided into 12 main sections. At equal distances around the full circle, you will find the three base (or primary) colors: yellow, blue, and red. Mix together two of these colors, and you will form a secondary color: orange, green, or violet. Notice that the primary and secondary colors make up the colors of a rainbow, along with indigo. Mixing a base with a secondary color produces a tertiary color. This category includes the likes of red-orange, yellow-green, and blue-violet. The wheel is arranged so that every color is opposite a complementary hue. For instance, green looks across at red, while orange is paired with blue. Some color wheels have 24 named colors; others provide a 360-degree spectrum. In all cases, the fundamentals remain the same. In Newton’s day — and for several centuries after his passing — the colors red, yellow, and blue were at the heart of all color theory. But after printing became automated in the late 19th century, a new system, known as CMYK, was gradually adopted. The CMYK color space blends different levels of cyan, magenta, yellow, and key (black) to reach any hue. Today, the CMYK space and its derivatives are the standard systems used for printed media. For the additive model, the assumed starting point is total darkness. Varying intensities of red, green, and blue are then added to produce different colors. With all three colors set to their maximum brightness, the hue produced is white. This color space is known as RGB. In 1996, HP and Microsoft collaborated to produce a standardized version, named sRGB. When using design software, such as Shutterstock Editor, you may come across RGB hex codes. They look something like this: #0d98ba. Each code represents a specific hue in the RGB color space. There are 16,777,216 colors to choose from, in total. Having learned how color is perceived and controlled, the final step is to understand how it is described. Hue: Direct replacement for “color,” and may refer specifically to colors on the color wheel. Shade: A hue that has been mixed with black. Tone: A hue that has been mixed with gray. Tint: A hue that has been mixed with white. Saturation: The intensity of a color, relative to gray. While visual creativity is highly subjective, there are common principles which always seem to work. For instance, most of us would avoid adorning our violet bedspread with green pillows. These colors just don’t fit well together. Some people may even squirm at such a clash. Of course, you may relish the violet-green combination on a personal level, and within the confines of your own home, you are perfectly welcome to indulge these tastes. But for brands targeting the mainstream, such idiosyncrasies can be financially devastating. Color theory can help you to avoid the pitfalls. When you’re designing a new website or getting artistic, color harmonies are usually the best place to start. Opposing colors on the color wheel are known as complementary colors. When used together, these hues provide the greatest possible color contrast. While this can certainly be eye-catching, the meeting of intense polar opposites can result in something seemingly lurid. Unless intense visual impact is your only objective, it is usually best to move one space in either direction on the color wheel from the direct opposite. This is called split-complementary harmony, and it still leaves an impression without making viewers recoil. Image by Two over Two Studio. In complete contrast, monochromatic color harmonies (like in the image above) are subtle and sophisticated. They involve only one hue on the color wheel, in varying shades, tones, or tints. For instance, you might match fully saturated blue with a much subtler gray-blue color. For obvious reasons, these color combinations do not always make for great impact. That said, using lighter shades on a darker, more saturated background (and vice versa) can still provide sufficient contrast for garnering attention. Another option is analogous color harmony. After selecting your starting color, you simply move one way or the other around the color wheel. This can work nicely with three or even four consecutive colors, offering a richer effect than monochromatic harmonies. If you’re just starting out in design, analogous combinations are probably the easiest to work with. Image by Wor Sang Jun. For folks with greater design ambitions, it’s also worth exploring triadic and tetradic color harmonies. The former involves picking three colors that are spaced equally around the color wheel. This makes for significant contrast, so it may be worth exploring different tones and tints. The key to using this technique successfully is keeping all three colors balanced. Tetradic harmonies include two pairs of complementary colors, with a space in between. These harmonies are very striking, delivering almost kindergarten-style vibrancy. They are best used when color contrasts are essential. For a better understanding of how these harmonies work in practice, let’s look at some examples. The red and green of Christmas are a classic case of complementary harmony. Few people would choose these two hues for anything else, but their richness seems appropriate at a time of food and gift-giving. 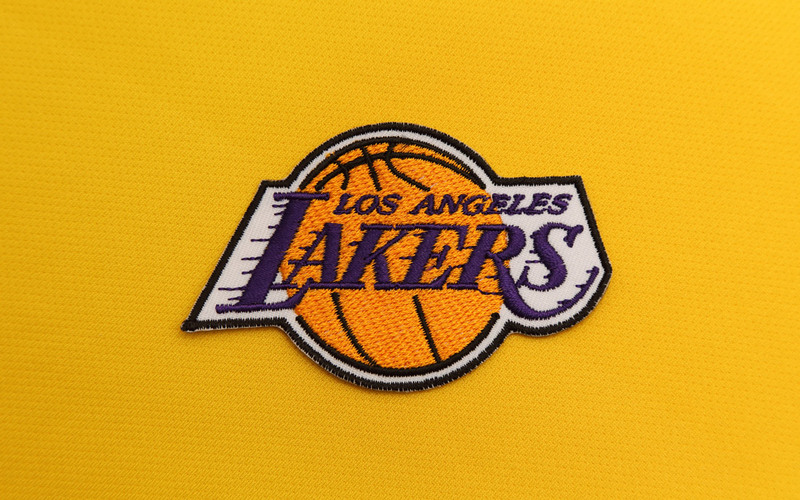 Likewise, the world-famous Los Angeles Lakers basketball team play in yellow and purple. The combination is dazzling, but that’s fine in a sports league that’s all about showmanship. The logo of the Mozilla Firefox browser uses slightly subtler split-complementary colors. The orange, yellow, and blue combination is vibrant yet tasteful. The pink, purple, and yellow of Taco Bell’s former logo feels slightly more shocking, but this is probably because the chosen hues are closer to being complementary. Monochromatic harmonies tend to be used more in branding than for logos, due to their muted impact. However, the Animal Planet TV channel blends different colors and textures of green in a logo that still draws the eye. The green and yellow logo of oil giant BP is a fascinating mix of monochromatic and analogous harmonies. Moving out from the white center, you first reach yellow, then a muted light green, and then forest green. It’s a delightful combination that is both subtle and visually arresting. You can see a version of triadic color harmony at work in Burger King’s logo. The red, blue, and dark yellow are not precisely equidistant on the color wheel. As a result, the color contrast is somewhat curbed. This delivers something more aesthetically pleasing than a textbook triadic harmony. There is a surprising number of tetradic harmonies to be found in the world of technology. The Microsoft, Google, and eBay are famously multicolored, injecting a sense of fun to the tech scene. Aesthetic guidelines are only half the story when it comes to color. While harmonies can be more pleasant to look at than clashing hues, each color comes with emotional baggage. Much of the time, this is through association. For instance, Western cultures promote white as the color of weddings, and red as the color of love and luxury. There are, however, certain colors that have a physiological effect on the viewer. Science is still working to unravel these reactions, but research suggests that there may be links to our primitive past. Here’s a run-though of what you can expect from each major color group. Pictured:  Image by sirtravelalot. Image by Elena Dijour. Image by blurAZ. Consequently, many brands choose red when they want to evoke excitement or work up an appetite. Consumers are more likely to make higher bids in online auctions when they are exposed to red, and price stickers tend to be more effective when they are red rather than black, especially if the color is pushing a discount. It’s worth noting, however, that an increased heart rate makes people feel more stressed. If consumers are already waiting in line or under pressure, red may worsen their mood. Pictured:  Image by Siriporn Pimpo. Image by Interior Design. As a color derived from red, orange shares many of the same traits. 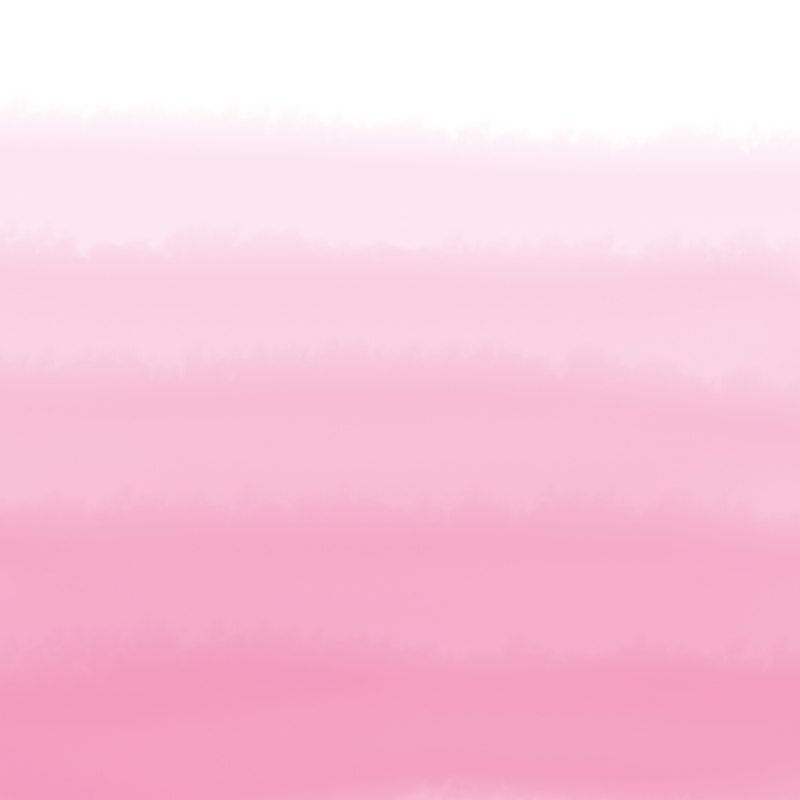 It’s more arousing than most other colors, and certainly difficult to ignore. Psychologically speaking, the color is perceived as welcoming, gregarious, and even outgoing. In addition, orange has strong positive associations throughout Chinese, Buddhist, and Hindu cultures. The time when you might consider avoiding orange is if sophistication is the brief. While variations on the color, like burnt sienna, can look sophisticated, serious brands might want to steer clear of highly saturated oranges (think Nickelodeon). While yellow is somewhat removed from red, this hue still affects our physiology. Golden hues don’t set pulses racing, but they will make your heart beat a little faster. Intense yellows cause the greatest reaction, in part because they mimic the colors of dangerous insects, predatory animals, and the neon yellow of safety gear. However, yellow’s most dominant characteristic is cheerfulness. We associate the color with sunshine, fields of golden wheat, and all things warm. In branding terms, this warm glow has many positive connotations — from sun-baked food to comfortable hotel rooms. Like yellow, green has many associations with the natural world. Even the name links this color with eco-friendliness. By extension, green makes people think of organic, wholesome things, and flourishing growth. Colors on the “cool” blue-green spectrum have the opposite physiological effect to red-orange colors. Hence, bluer shades of green radiate a calm, spiritual aura. In contrast, lime green starts to pick up some of yellow’s traits. Pictured:  Image by diy13. Image by kostin77. Blue is somewhat of a contradiction. While we might speak of “feeling blue,” the color is largely positive. As another cool hue, blue helps to calm minds and beating hearts. Lighter blues are the most relaxed, once again mimicking sunny skies. Although the color is used for many purposes, brands often choose blue when they want to seem dependable or professional. Several airlines use blue branding, presumably to reassure potential passengers. Likewise, HP and General Electric wish to convey a message of reliability. As the colors of royalty in western and Japanese cultures, purple and violet are often associated with luxury. In the Christian world, purple is also the color of piety — hence its being worn by the clergy. Their beautiful robes have had the cultural effect of making purple seem more valuable than other colors. That feeling of luxury extends to sensuality and extravagance, with decorative undertones drawn from the influence of amethyst jewelry and numerous purple flowers. In other words, both of these colors are good for brands wanting to create the illusion of luxury. White comes with no great psychological links. It is usually regarded as pure, hence its use for wedding dresses in certain cultures. In design, its complete emptiness makes it suitable as a backdrop and as a contrast with dark colors. White can be a real workhorse in your designs. Black is alive with personality. The color is associated with grieving, goth culture, and “black clouds.” But in different circumstances, black can seem professional, sleek, and classy. Gucci and Lexus have adopted black logos for these reasons. In our daily lives, we don’t usually think too hard about color. Our personal tastes dictate which home furnishings we purchase, and which flowers will catch our attention. Yet color runs deeper than first appearances. Some hues are even capable of changing the human mind. For small business owners and designers, that is powerful stuff. With a good dose of color theory now firmly imprinted in your mind, head over to Shutterstock Editor and start experimenting. The design app has everything you need to create visuals that reflect your brand and engage your audience. Whether you want to make quick edits to a photo or create a fully-customized image with on-trend photos, Editor will save you time on professional-looking designs. Kickstart your design with beautiful pre-made templates for presentations, ads, and more, or choose from millions of remarkable, on-trend images in Shutterstock’s collection to find the one that fits your business needs. Take it to the next level with easy-to-use editing tools that let you crop, apply filters, add text, and create shapes. Apply everything you’ve learned about color Theory in Shutterstock Editor and you might just come up with your best branding yet.